⚡ Keep track of your heart rate on your wrist to maximize exercise, and better track calorie burn, so as to gain a better picture of your health. 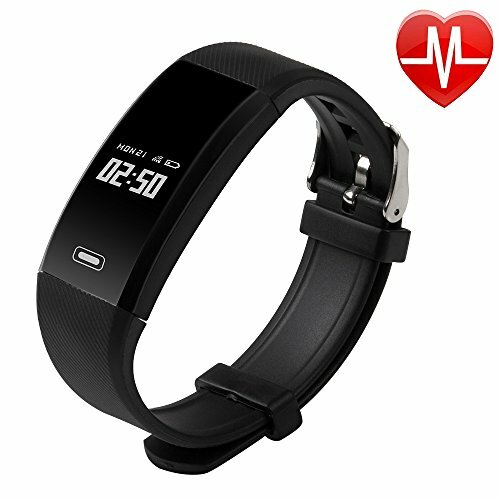 ⚡ Activity tracker:multi-function healthy tracker,stepmetre ,distance, calories burned, heart rate, speed, activity continuously, it will help you get a better understanding of your fitness level. ⚡ Never miss call and message:SMS and call notification on your wrist to keep your phone out of sight and your goals in focus. ⚡ Widely applicable:the app support for Android IOS smart phone and 4.0 Bluetooth. If you have any questions about this product by Amzcooker, contact us by completing and submitting the form below. If you are looking for a specif part number, please include it with your message.